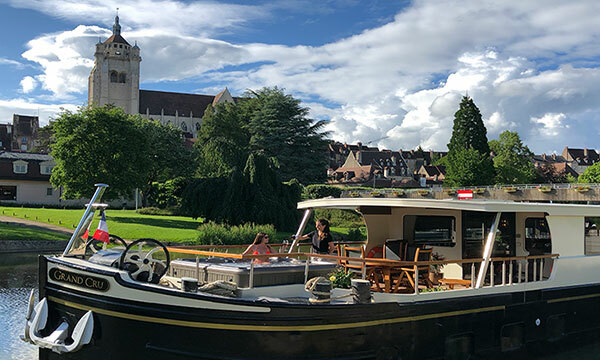 Debuting on the French canals in 2019, luxe barge Lilas (French for “Lilac”) invites guests into a world where the beauty of natural aesthetics aligns with the contemporary comforts of modern living. With design and décor influenced by the Biophilia movement, Lilas brings nature’s ambiance into interior spaces, culminating in a floating oasis of tranquility and luxury where guests can while away the hours in sumptuous relaxation. Soft tactile furnishings and rustic timber accents throughout the barge’s salon and dining room incorporate pastel floral tones, gently textured fabrics, and eye-catching asymmetrical shapes. On the spacious wooden deck, the theme of nature’s wondrous abundance is realized with cascades of lush greenery surrounding a plunge pool. Private spaces on the Lilas are among the most appealing in barging, with four equally sized cabins ensuring luscious havens of quiet respite. Staterooms are decorated in light floral tones, paired with comfortable furnishings and nature-inspired accent pieces, furthering the barge’s motif. King size beds are made up with premium bedding, while en-suite marble bathrooms augment the high-end accommodations and amenities. 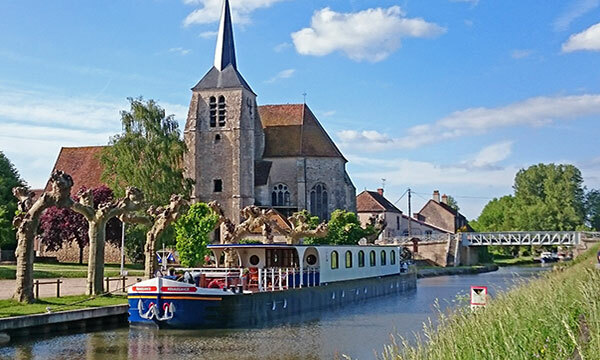 Operating on one of Southern Burgundy’s most scenic routes, the sightseeing itinerary on the Lilas immerses guests into the area’s lifestyles and locales. Escorted visits to lively markets, walking tours through Dijon and Beaune, and private winetastings at vineyards ensure comprehensive cultural connections. Miles of manicured towpath along the canal beckon for exhilarating bicycle rides and relaxed strolls, while the expansive Burgundian scenery is the perfect backdrop for memorable evenings spent on the deck sipping glasses of wine and socializing with friends both old and new. 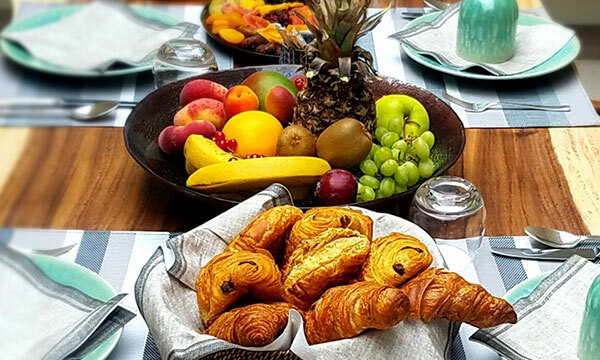 The culinary experience on the Lilas speaks to the epicurean heritage for which France is celebrated. Burgundy’s great tradition of food and drink is showcased with seasonal menus and regional specialties, all of which are freshly crafted by a private Chef. Wines are carefully selected from the region’s many vineyards, both established and emerging, and are perfectly paired to complement each gourmet meal. After dinner, slip into the plunge pool with a nightcap and toast to the sparkling of stars twinkling overhead. In the afternoon, you will be met by a crew member of Lilas at the designated meeting point. Relax as you are chauffeured to the barge, moored in the delightful town of Dole. A traditional champagne welcome and introduction to the crew awaits you, before your first gourmet dinner. End your first evening counting the stars while relaxing in the delightful plunge pool! Enjoy a stroll or gentle pedal on the towpath during this morning's cruise. Your Tour Guide accompanies you on an afternoon visit to Clos de Vougeot, revealing where Cistercian monks made wine in the 12th century. The ancient Clos now serves as the headquarters of the esteemed wine society Chevaliers du Tastevin, who annually award special labels to the finest Cote d’Or vintages. Discover the preserved presses from which these Burgundian wines were first produced. Then it is back to Lilas for cocktail hour before another gourmet dinner. This morning, Dijon offers a pleasurable assault of the senses. "Les Halles”, the region's food market, presents a panorama of colorful produce; mustard jars are displayed in boutiques; and public gardens are vibrant with greenery and scenery. 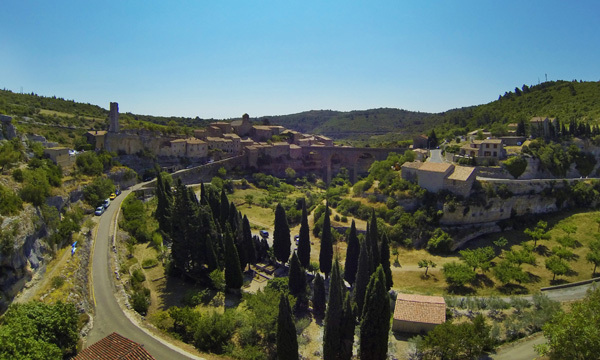 Shop, stroll, and sip your way through this small city brimming with authentic French life, then enjoy lunch ashore in a charming auberge. Returning to the barge for the afternoon cruise, there’s time to relax on deck or explore passing villages by bicycle or on foot. Dinner onboard caps an eventful day. The journey continues with a morning cruise. Lounge on deck with a cup of freshly brewed coffee or tea, and admire the scenery slipping by. This afternoon, your Tour Guide escorts you to the Chateau de Rully, a 12th century medieval fortress which has remained in the same family since its creation. The owner will guide you through his home while sharing the history of his ancestors. Your insider’s experience continues in a preserved 15th century kitchen, where samples of the estate's wines are served. Dinner tonight is at a local bistro ashore. A morning cruise reveals more of the Burgundian countryside. Explore the area's flora and fauna along the towpath, or revel in the scenery from the comfort of the deck. Upon mooring, your Tour Guide presents Beaune, the region's wine capital, for a visit to the Hospice de Beaune, an immaculately preserved Medieval hospital built in the 15th century. Afterwards, browse the shops, or enjoy a coffee in the charming town square. Return to the Lilas for for cocktails and canapes before Chef serves another gourmet dinner. Relax on deck as the Lilas leisurely glides to the final mooring. This afternoon visit the Chateau de Chamirey for a vineyard tour and a private winetasting. Originally an early 18th century property, the Chateau is now a family-owned wine estate, where some of the most prestigious Premiers Crus are produced within Burgundy. Swirl, sip, and savor the aromas and flavors of this iconic Burgundian terrior. Back onboard, Chef is preparing a Farewell gala dinner, the perfect finale to your exclusive and intimate cruise on the Lilas. *Rates for this boat are quoted in Euros.